- 9 3/4" high x 6 1/2" wide and deep x weighs 2.75 lbs. - Includes pump and 9-foot cord. 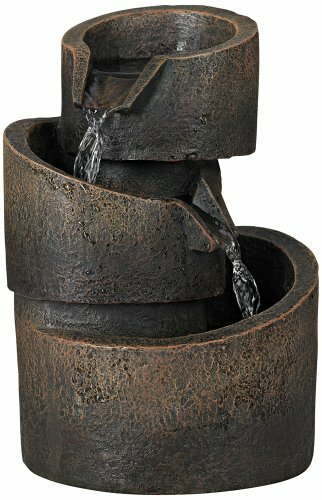 - Contemporary tabletop fountain by John Timberland. - Water flows down three tiers creating a soothing sound. - Bronze stone finish; lightweight resin construction, easy to move and position.